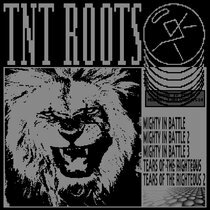 Includes unlimited streaming of WaqWaq Kingdom live at Bassmæssage via the free Bandcamp app, plus high-quality download in MP3, FLAC and more. 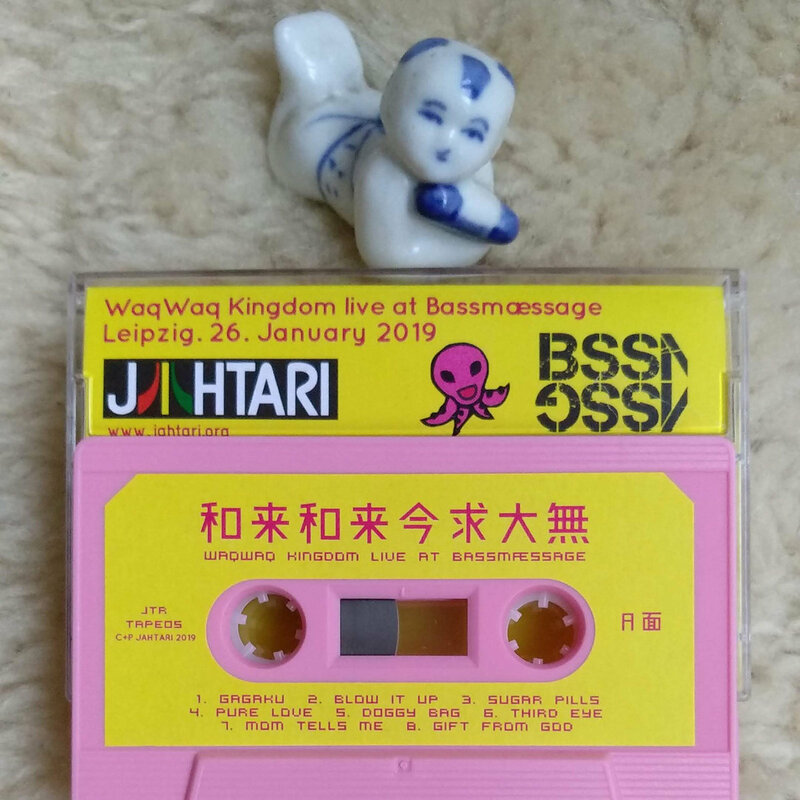 WaqWaq Kingdom’s intense shamanic live performance, recorded to honor the local gods “kami-sama” at Leipzig’s legendary bass head party Bassmæssage on 26.January 2019. Captured with a battered Zoom recorder through a thick veil of incense smoke, sweat and bass this hypnotic time warp experience re-connects our animistic roots with the future of urban neon colors. 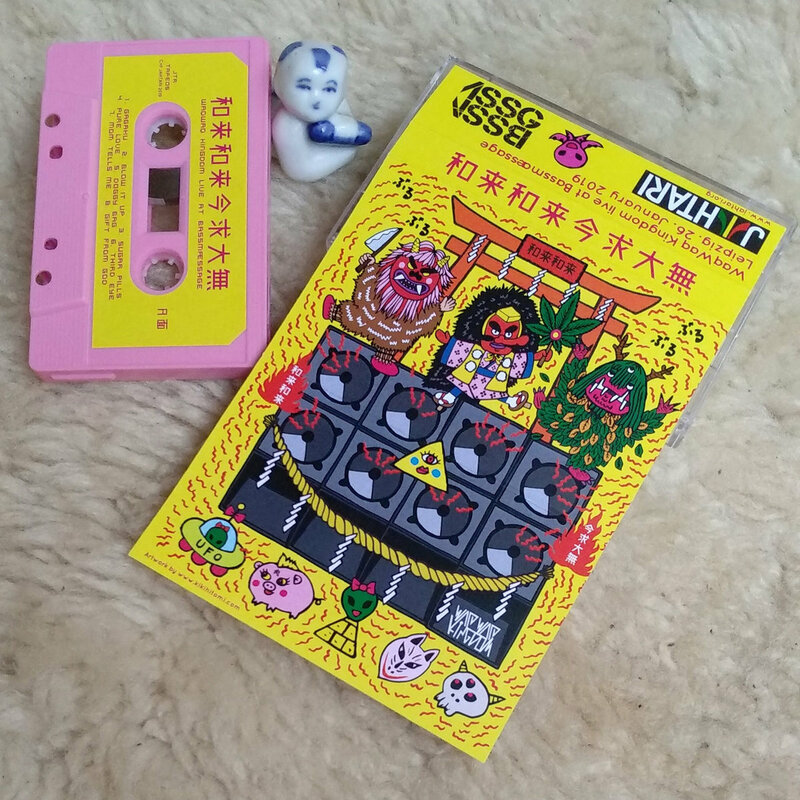 Stunning artwork by Kiki Hitomi, heaps of new bangers from the upcoming WaqWaq Kingdom album – this limited edition pink cassette is raw live energy directly baked onto tape. 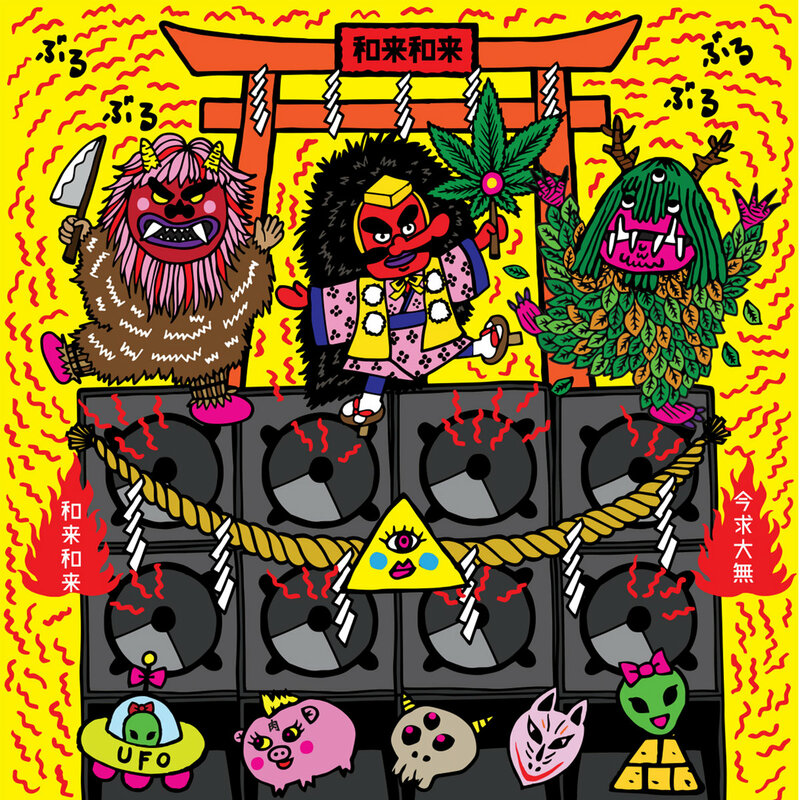 WaqWaq Kingdom is a Japanese tribal bass duo, consisting of Kiki Hitomi and Shigeru Ishihara. 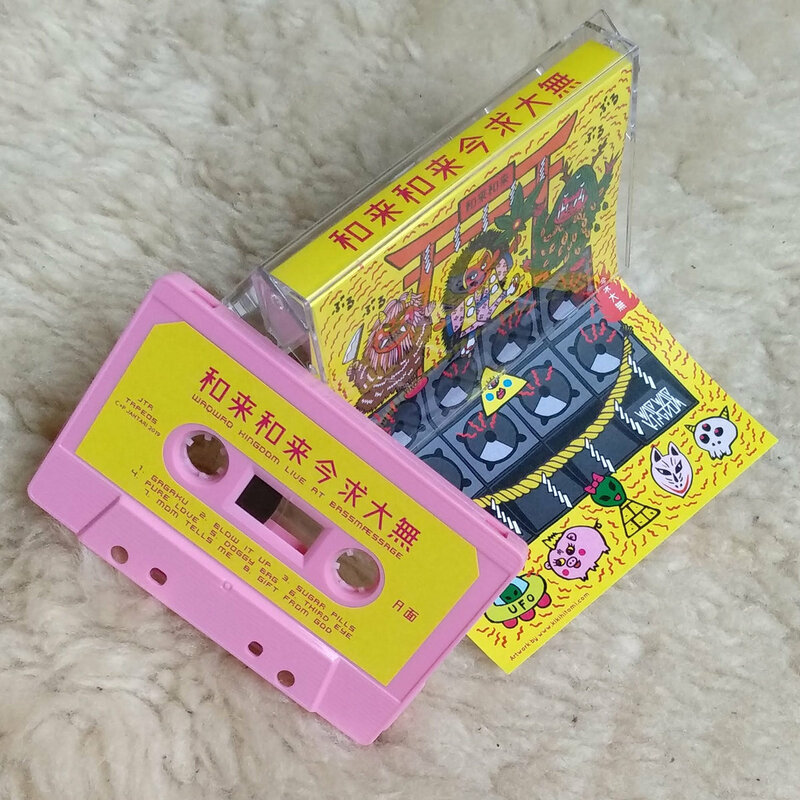 Both are originally from Japan, lived in the U.K. for over a decade and are now based in Leipzig and Berlin. Their genre- and time bending sound is like a psychedelic Nabe hot pot: melting Japanese traditional style Minyo with Jamaican dancehall, footwork, dub, techno, tribal polyrhythms and Super Nintendo soundtracks. 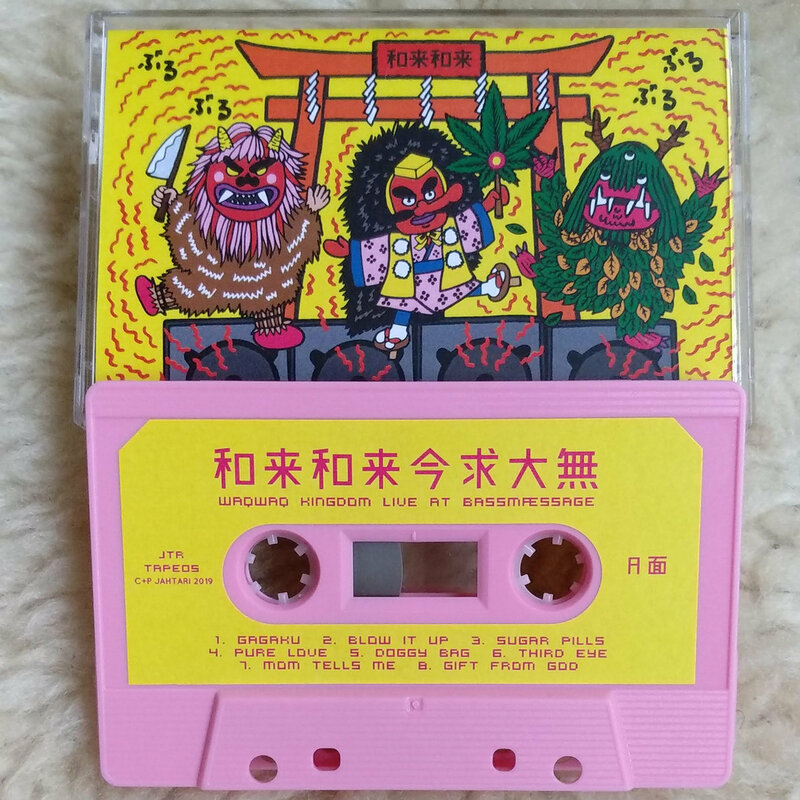 The lyrics and visuals are drawing a deep influence from ancient Shinto mythology and the Japanese “Matsuri” festivals that honor the local gods, “Kami-sama”. 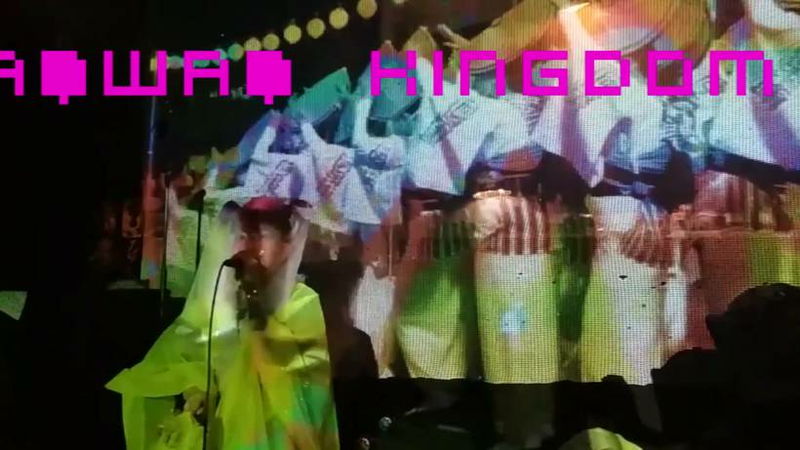 WaqWaq Kingdom’s hypnotic and shamanic live performances are an intense time warp experience that re-connect their animistic roots with the future of urban neon colors.